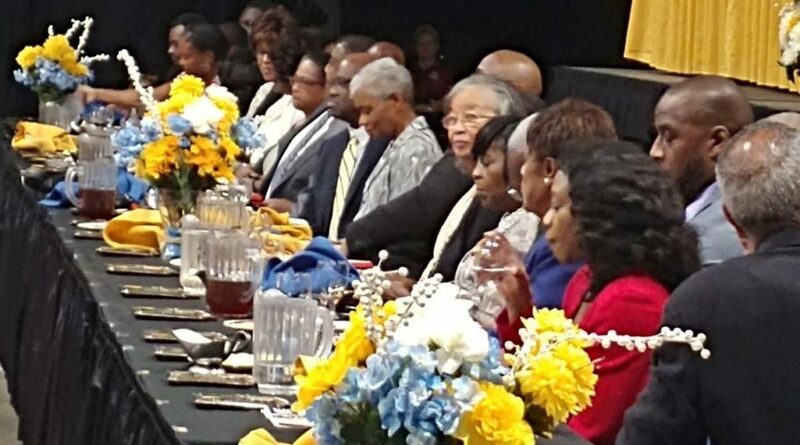 More than 20 Tallahassee and Leon County elected officials were honored by the NAACP at its annual Freedom Fund Award ceremony. Many in the packed Exhibition Hall at the Civic Center might have been surprised to hear civil rights attorney Benjamin Crump speak of his admiration for Benjamin Franklin, a former slave owner. Crump hailed Franklin for his later push for the abolishment of slavery, then turned to one of Franklin’s famous sayings to make his point about protecting Black children and educating them on democracy. The gist of that, Crump said, is that Black children should be taught what democracy looks like. Doing that requires recognizing inequities, police brutality on Blacks and other injustices, Crump said. Crump’s tone in his keynote address at the NAACP’s Freedom Fund Award ceremony this past Thursday night was as if he was involved in one of the many civil rights cases that he’s known for handling, including the recent shooting of Markeis McGlockton in a stand your ground case. “My argument tonight is that we make sure our children are well-armed lambs to contest the vote; they are well-armed lambs to contest voter suppression, well armed to contest economic inequalities, to contest police brutality; well-armed lambs to contest racist Jim Crow laws like stand your ground,” Crump said. Later in his speech, which at times seemed as if he were delivering a sermon, Crump said Black parents have an obligation to their children. The audience including 22 honorees who were recognized for their service as elected officials, former NAACP members and other volunteers. Crump’s longtime friend and former partner in a law firm, Daryl Parks, also was honored. 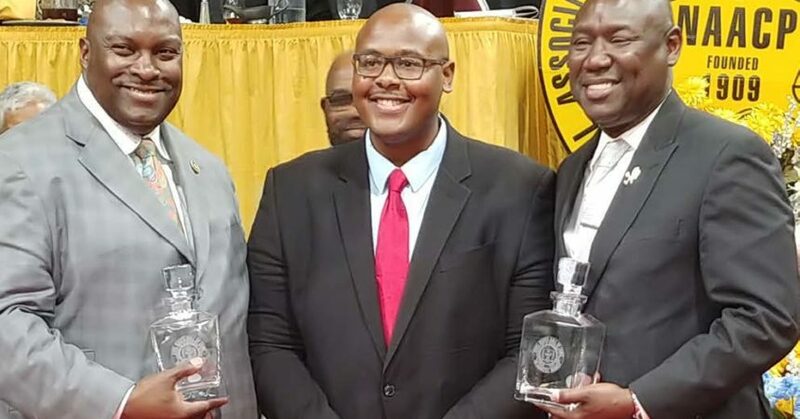 Current president of the Tallahassee NAACP chapter Delaitre Hollinger also was recognized for his work as the youngest leader of any chapter at age 24. Several others were inducted post humorously. Former Leon County Commissioner and one of the longest –serving former presidents of the NAACP Anita Davis was among the honorees. During her tenure, Davis built a reputation for being a champion for the underserved. “I not only had the NAACP, but I had the children, families and political pressure and getting things done,” Davis said, while expressing appreciation for the recognition. “I like the part that they say ‘thank you for your time in doing what you do. Judith Hawkins, who served more than 14 years as a Leon County judge, was one of several in the legal field who were recognized. The honor comes shortly after Hawkins returned to practice as an attorney. Before leaving the stage, Crump praised the NAACP for bringing the contribution of current and former elected officials to the forefront.